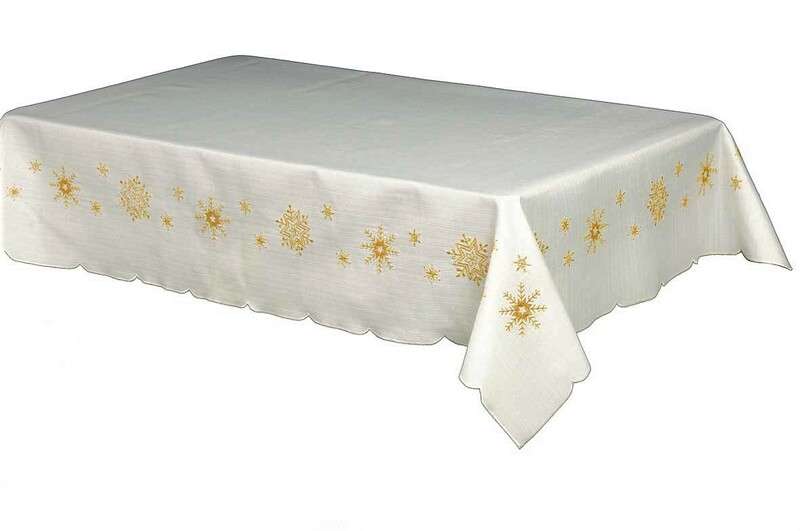 and napkin range is ideal for Christmas and New Year, this size is ideal for use on a 4 seater size square or round table. 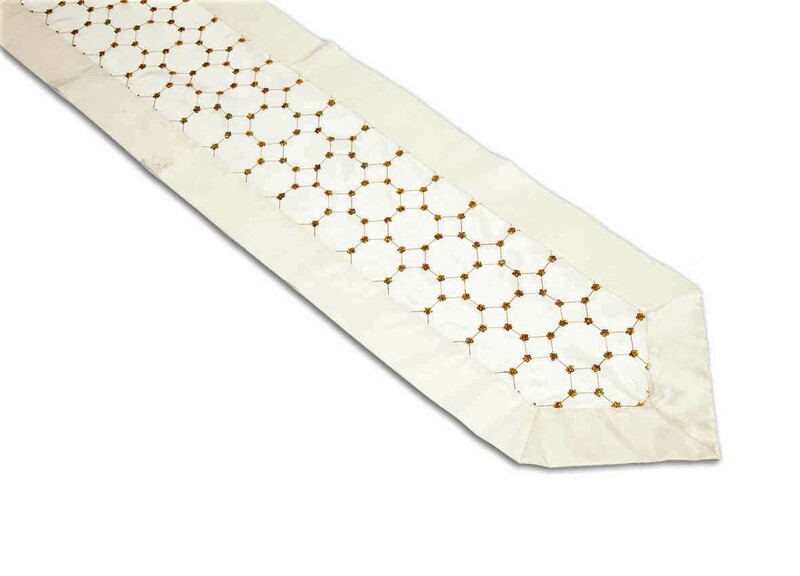 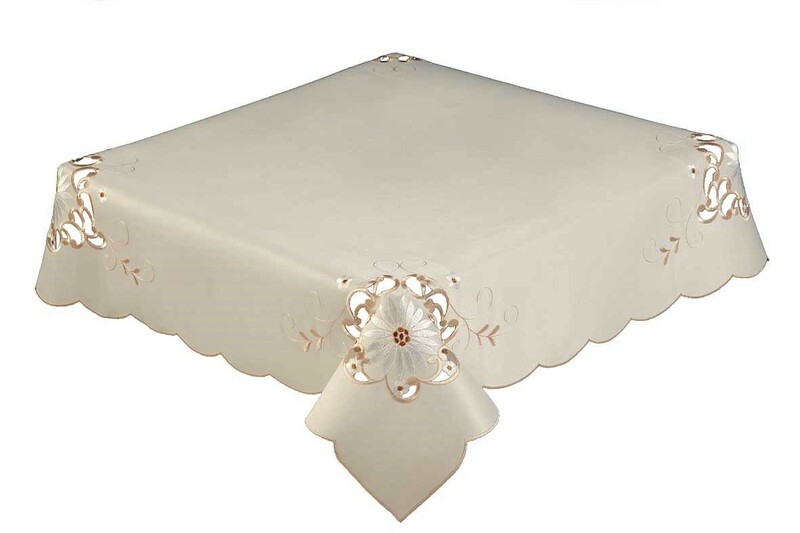 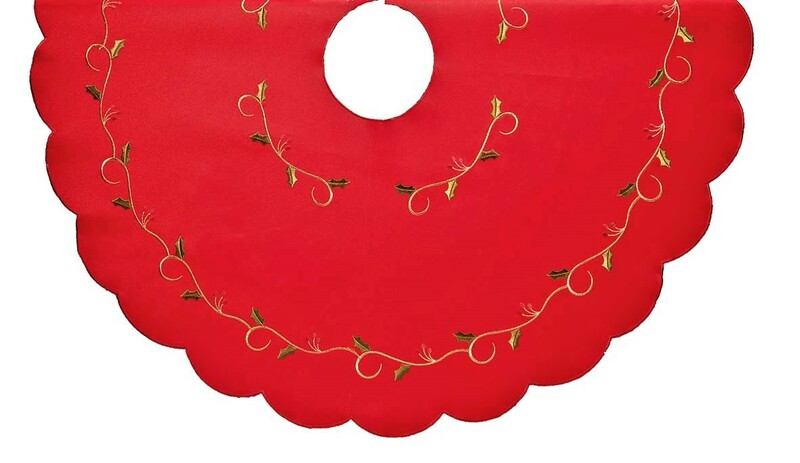 The Christmas tablecloth has green embroidered holly vine centre detail and around the scalloped edge. 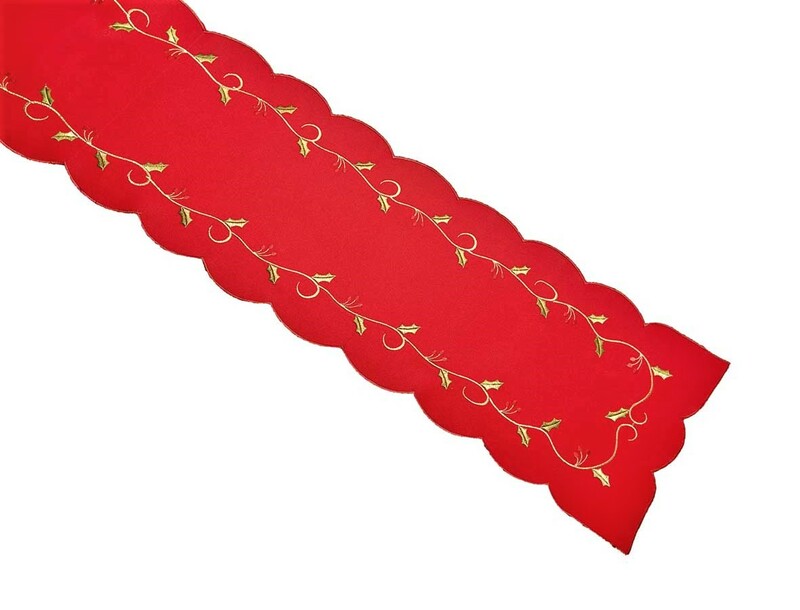 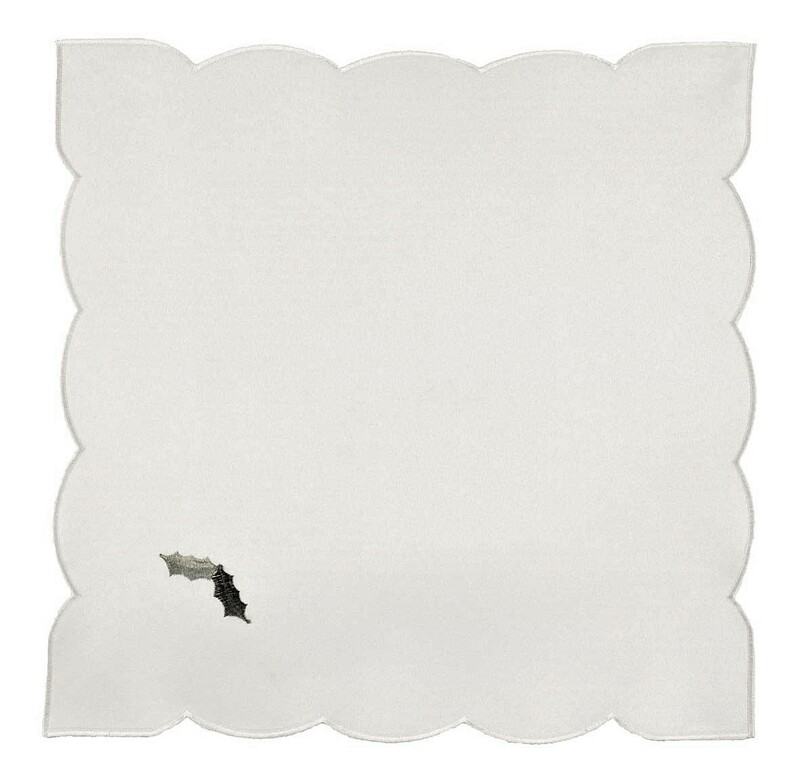 The 4 napkins have a green embroidered holly leaf in one corner. 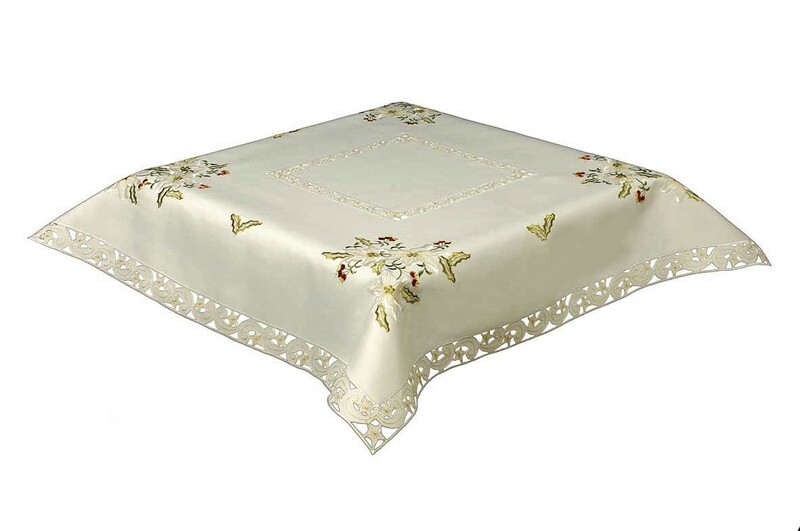 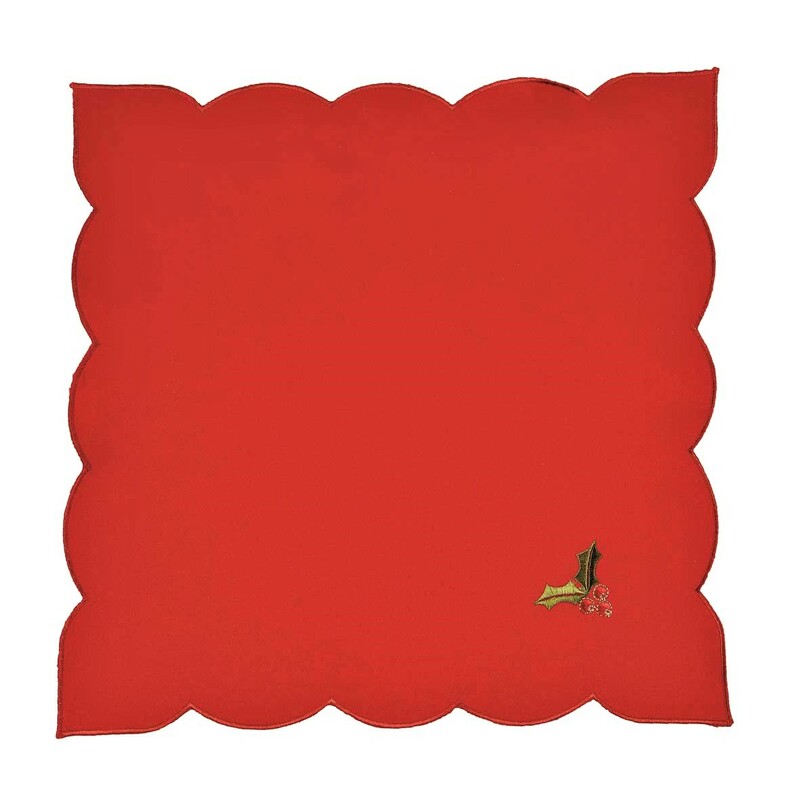 The HOLLY VINES CREAM 137x137cm (54×54″) Square range also comes in red with green holly and white with silver holly so dress up your table by Using the red holly vine napkins or runner as a contrast on the cream tablecloth.